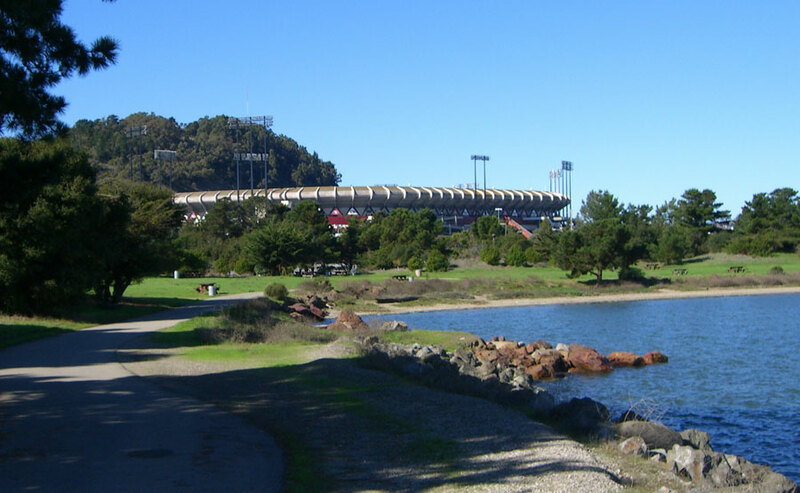 In 2006, San Francisco Beautiful recognized the Candlestick Point Beautification Project with a Beautification Award. Beyond the vast stadium parking lot are views of the bay and downtown San Francisco. This hidden area of the City features fine weather, steep slopes, and unique houses. A few years ago, it was also host to criminal elements and its open spaces were used as a repository for wrecked cars and cast-off appliances. The neighborhood’s isolation seemed to attract crime. Under the leadership of long term residents Shirley Moore and her family, people began to reclaim their open spaces with ornamental plantings. DPW assisted the neighbors and donated large rocks for decoration and seating.